In honor of Valentine’s Day coming next week….this holiday of all things love and chocolate I have a perfect little treat! 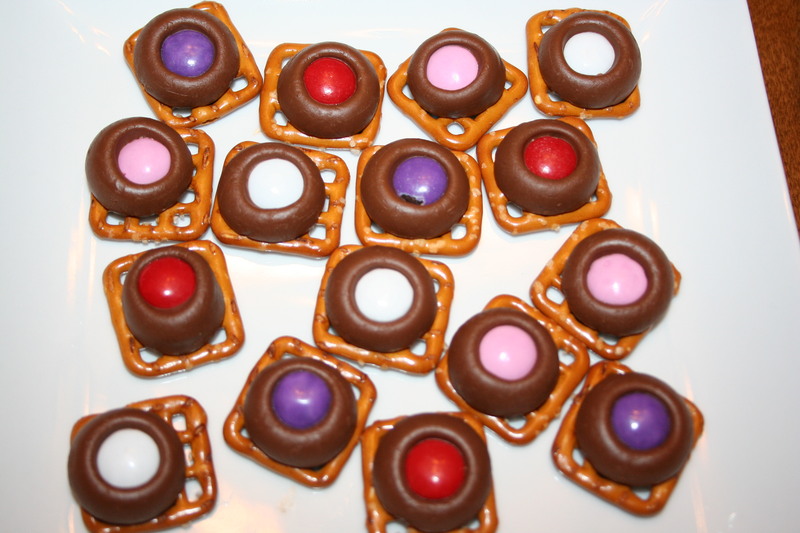 You can make these in bulk and give them to all of your special someones! Spray Pam on baking sheet. Here is a recipe that my Mom always made for special occasions when we were kids….I especially remember it on New Year’s Eve! Her recipe was a little different because she used Heath Bars……and with all the nut allergies nowadays I stick with Kit Kats. She also used to put Kahlua in her cake mix to give it a little extra kick, I do not. You definitely can add the Kahlua and swap the Heath for the Kit Kats! 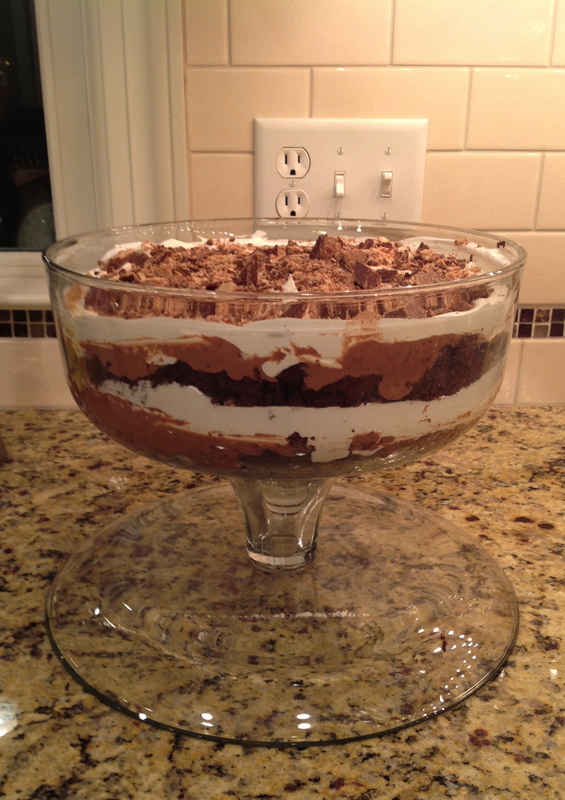 But no matter how you do it…..you will be sure to have a crowd pleasing dessert!!! It’s a very simple recipe, that really takes no time at all…..As long as you have the ingredients in your kitchen. You can make it for a large crowd, for a holiday, for a BBQ, or just for 2 people to share on Valentine’s Day (and the week following with leftovers). I made this for New Year’s Eve and even though a lot of it went…I was so excited to have leftovers!!!! It’s even better after it sits in the fridge for a few days! YUM!!!! 1 large container of Cool Whip — remove from freezer and into fridge for 30 minutes-1hour before you make dessert. Follow directions on the cake mix box..and make your cake. Cool and then wrap the entire cake in foil and put in the freezer for a few hours. Make mousse by following the box..let cool in fridge for a few hours. In a food processor or by hand smash candy bars into pieces. When ready to make the dessert, get a large clear bowl. Crumble 1/2 of the cake into bottom of bowl. Next layer 1/2 of the mousse on top. Next layer 1/2 of the Cool Whip. Sprinkle 1/2 of the candy pieces. Next layer the rest of cake crumbled. Layer rest of Cool Whip. Finish off with candy pieces!